Test equipment plays a critical role in the maintenance and repair of medical devices. Healthcare Technology Management professionals, a.k.a. biomeds, depend on test equipment on a daily basis. TechNation magazine reached out to manufacturers of test equipment to find out what they feel is important when it comes to the devices they make. We also asked about the latest and greatest devices and features that biomeds should look for in 2019. Pronk Technologies Vice President Sales and Marketing Greg Alkire, Southeastern Biomedical’s Boyd Campbell, Physicians Resource Network (PRN) Vice President Robert Gaw, BC Group International Inc. Vice President Sales and Marketing Ken O’Day and Capital Medical Resources LLC Owner Lee Ann Purtell. Q: What are the most important things to look in a test equipment manufacturer? Alkire: Consumers want products or services from an organization that provides high quality at the best value. Just as important to customers is an organization that values them, going above and beyond to make sure they are satisfied with the product. Campbell: Accuracy and reliability. You want the confidence that the test device you are using has a calibration standard of the highest quality which includes not just the longevity of the device but also the accuracy and reliability needed. Our goal is always patient safety and in order to assure we are doing all we can we need that confidence in our test devices. Gaw: Accuracy, portability and warranty/long-term upkeep. O’Day: Quality and documentation! Anyone can manufacture a device, put a label on it and sell it. How does the end user know how it was designed, manufactured and calibrated unless there is a formal quality program to back up the claims? Large OEMs would never purchase a product from a company unless they conducted their own audit or they can be reassured by documentation that the producer has a quality program in place. Most end users do not have the resources to do the investigating of each supplier, but it is easy to ask for certifications that show an outside independent certifying body has conducted the review for them. End users should ask for the manufactures various ISO certifications, accreditations and FDA inspections. Purtell: It’s important to work with a test equipment manufacturer who provides efficacy data on the devices they sell and support, as well as an established calibration program. Having accurate testing and measurement is essential, in not only the manufacture of equipment, but also when it comes to effective lifecycle management. It’s important to ensure that the testing devices can be used in conjunction with any Joint Commission requirements for managing equipment. Q: What are the basic test equipment devices every HTM professional needs? Alkire: Every technician should have a full complement of the basic tools and test equipment. These should range from the basic hand tools and meters to more specialized test equipment like safety analyzers, simulators, etc. Purchasing devices that are durable and easy to use will aid in their ability to work as efficiently as possible. Likewise, products that are rugged, handheld and portable serve the needs of biomeds. Campbell: This really depends on what devices a technician is servicing. I recommend a technician review their inventory list of medical devices and then determine the needs. 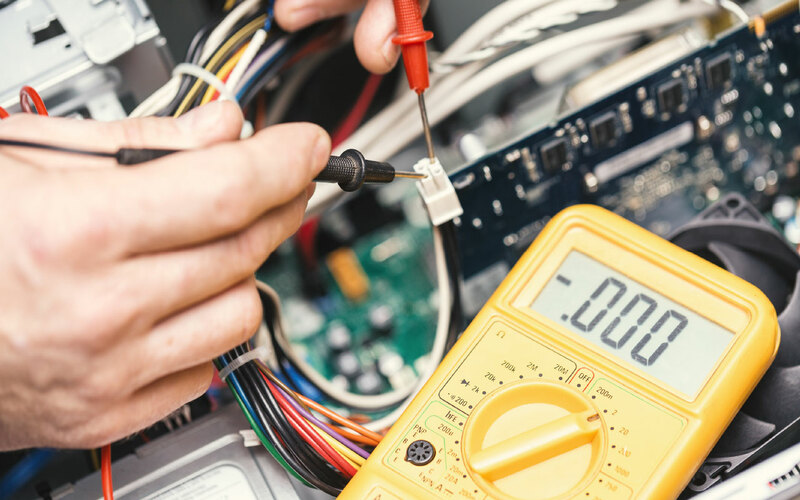 While there are standard items such as safety analyzers there are also different options that may be needed depending on the devices being tested. Gaw: Patient monitor simulators, ESU analyzers and electrical safety check units. O’Day: This is difficult to answer. The basic list would depend on the type of facility and the duties of that particular professional. For an individual doing general HTM support, it would be helpful to have available a DMM, safety analyzer, defibrillator analyzer, ESU analyzer, multiparameter simulator, pressure meter, infusion pump analyzer and a metric and standard tool kit. This should cover most of the routine items. Now there are specialty devices that not every professional needs, but the facility will need to support those devices. This list is endless but would include test devices for imaging (CT, MRI, mammo, radiology and ultrasound), anesthesia and physical therapy. Purtell: There’s a wide-array of testing devices available to biomeds as it relates to the complex electronic equipment they test and service. However, biomed departments managing surgical and endoscopic devices often are limited in technology specifically for endoscopic equipment. In these cases, we advise the following basic endoscopic testing equipment: endoscopic light testing meter, scope image quality tester, electrosurgical continuity tester, lumen inspection device, leak testers for flexible endoscopes and a digital microscope. Alkire: We introduced the BMET Pack PRO, a custom carrying case that enables technicians to carry all their test equipment, including all accessories, in one portable pack. It even has enough space for their laptop or tablet. This makes it even easier to carry all Pronk products. Boyd: One of the newest devices on the market is the Fluke Biomedical VT900 and VT 650 line of gas flow analyzers for the general biomedical technician while the radiology engineers should check out the new One QA software for the Raysafe X2 Radiation Quality Assurance devices. O’Day: Medical device manufactures are constantly introducing new products that address the changing needs of the medical community. Many of the legacy test devices are no longer capable of addressing the advancements in the devices they are testing. Some testing hasn’t changed in years and a new or old test device will suffice. (DMM is a good example, a volt is a volt and an ohm is an ohm.) Electrosurgery, anesthesia and imaging are good examples of fields where old testers will no longer do an adequate job of testing these devices and they should be replaced. It is always good to purchase a tester that has an upgrade path to help soften the blow of constant changes in requirements. Purtell: The McGan Technology MM513 insulation tester is an affordable device for testing the integrity of laparoscopic insulation. The unit is portable, rechargeable, and there are no additional consumables, such as disposable wands, to purchase. Small diameter, flexible MicroFlex Lumen Inspection scopes are great tools for visualizing lumens in equipment such as flexible endoscopes, shavers and instrumentation. Some manufactures recommend lumen inspection in their IFUs, and there are both fiberoptic and video models in the marketplace. Alkire: Clearly, having the features to perform the task required is basic, but just as important is having a product that is durable and easy to use. Some test equipment products have lots of features but users find it complex and time-consuming to set up and use. Biomedical engineers want to focus on the medical device to be serviced and not on complex test equipment that complicates the task at hand. So, we believe that the comprehensive features of a product in terms of ease of use, durability and warranty are vital. Campbell: This is really dependent on the usage and what the task is at hand. If you are a field technician portability is an important thing to consider, but for an in-house engineer that is working in more of a critical care environment an all-in-one solution may work best. One feature that is not considered is that of customer service. While it is not something that is built into a device you need the assurance there is someone you can reach out to as needed. This may be via telephone or it may be there is someone available to come on-site to assist you with your needs whether it be technical or for training. Gaw: CMMS software interfaces and portability. O’Day: Budgets for the HTM field are never adequate to cover the wants, wishes and needs of the department. To get the best value for the dollar spent it is important to look for things that will save you money and time. Some features that could help address this are automation, connectivity to CMMS software, report generation, flexibility (multiparameter in one device) and quick and easy to use. Purtell: Any device that allows for portability, as well as interfacing with hospital hardware and software, is important today. Being able to capture data, images, etc., and provide a record of testing, will further support documentation requirements by Joint Commission and are a good communication tool for staff and when communicating with repair vendors. Manufacturers and distributors should also be able to provide technical support and assist in service and calibration. Q: What else do you think TechNation readers need to know about test equipment going into 2019? Alkire: This is an exciting time for medical test equipment. 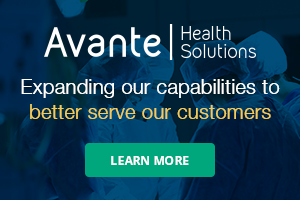 We are focused on advances in portability and automation of testing, including generating automated test reports and developing solutions that minimize the manual processes a biomedical engineer has to deal with. Honestly, there are a number of options in test equipment out there for a biomedical engineer to choose from, so look closely at companies that are continuing to change the paradigm in terms of developing test equipment that makes biomeds’ jobs easier and more efficient. Campbell: The test equipment market is changing rapidly with new technologies to meet the specifications you require, as new medical devices emerge. There are also devices and software available to assist in making your job easier and more time effective. In today’s market, we are all challenged to do more with less so technicians need to stay abreast of these changes and a great way to do that is by attending trade shows where you can see all the latest technology offered. Gaw: I think it is important to emphasize the importance of properly testing and calibrating newer ESU units and to make sure you have the proper analyzer that is within manufacturer specs. O’Day: Since this field is changing so fast, it is important to look for devices that can properly test your current medical device inventory, but also have an upgrade path so you are not required to replace the entire test device when new steps, limits or features are added. Does your test equipment allow you to do software upgrades in the field and at no cost? If new features are added, can your device be sent in for an upgrade or do you throw it away and start over? Purtell: Utilizing testing equipment goes beyond simple inspection when something is wrong. Consider utilizing your test and inspection protocol for new product evaluations, routine preventive maintenance, life-cycle management, pre- and post-repair validation, staff communication, vendor communication and documentation for Joint Commission and other regulatory directives.